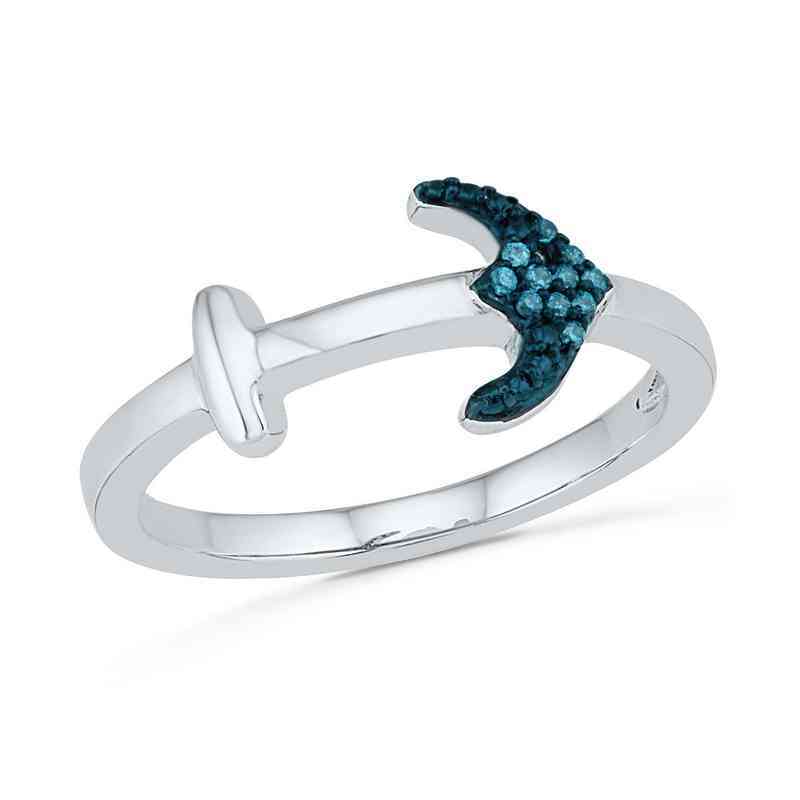 Stay latched to the foundation of love with this stylish ring. This sterling silver ring features a sideways anchor with blue diamond accents polished to a lustrous finish. The sleek look and brilliant color help to complement any outfit. Manufacturer direct from a trusted supplier.